At the Financial Advisory Services department of EY it is all about owning the CFO agenda. Since the outbreak of the financial crisis, institutions such as banks and investment firms have suffered from more scrutiny from the general public, central banks, governments, supranational bodies and regulators, resulting in a significant increase in the regulatory requirements they shall adhere to on a continuous basis. As these requirements are both prudential and non-prudential in nature these impact the complete operating model of institutions including the service delivery to their clients, the recording and reporting of transactions, required risk management capabilities and continuous monitoring of compliance to existing and upcoming regulatory requirements. Due to technological developments such as digitalization, robotics and blockchain institutions stand for a choice whether they will keep on implementing regulatory requirements like they used to are that they intend to increase the agility of their finance, risk and compliance functions in such a way that these functions can start acting as a trusted business advisor to the business next to safeguarding the entity’s license to operate. 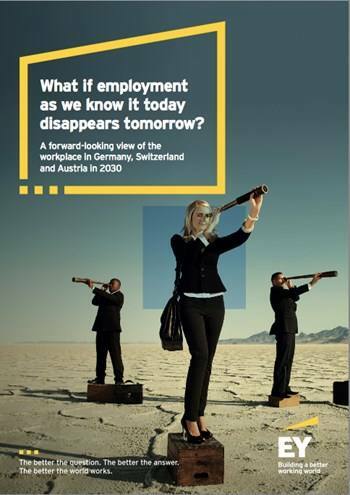 Within the FAS Financial Services department of EY we have a Regulatory tribe with consultants guiding clients, ranging from mid-size banks to Global Systemically Important Institutions, in such transformations. Within the team a detailed understanding of regulatory requirements and finance & risk processes is at the core of our business, as well as working with other disciplines such as strategy consultants towards a common goal for our clients. 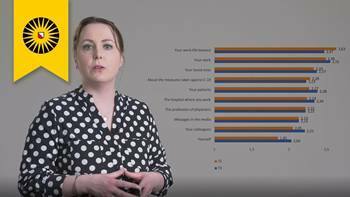 With (big) data and digitalization at the center of our clients’ innovative business models, our tribe is interested in extending the teams’ skillset in terms of data science and data management linked to regulatory requirements. Interested in helping our clients adapt to the changing regulatory and digital landscape? We are looking forward meeting you! As a Senior Advisor in the FAS Regulatory tribe you are contributing to the key topics on the CFO agenda. You are providing exceptional client service and build long-lasting relationships with our clients in the financial sector. In this field you have experience with regulatory requirements and advisory related work. Your work will be project based in a team to advice clients on the impact of changes in requirements posed to banks by the European Central Bank (ECB), the Dutch Central Bank (DNB), the European Banking Authority (EBA), the European Commission (EC) and other European supervising bodies. It is your responsibility to help our clients with the implementation and/or optimization of their finance, risk and/or compliance functions making sure they are on top of the regulatory agenda and can maintain a continuous adherence to prudential and non-prudential requirements. Topics to be considered as part of our service delivery can range from data-driven reporting (AnaCredit, SHS, RRE, CRE, BIRD), regulatory reporting in accordance with the Single Rulebook (COREP, FINREP, Pillar III), Supervisory Review and Evaluation Processes (SREP, ICAAP, Business Model Assessment), conduct up to consumer protection and so on. Teamwork is an energizer to you and you are able to work independently and in a team at the client. Once you have settled at EY you will act as a coach and natural point of contact on technical issues for junior team members . You like working across multiple projects and are able to set priorities. A lot of our work is in English and on an international level, with client and colleague interaction often in Dutch. You combine various skills, such as interpreting regulations, assessing and presenting the impact of regulations to clients vocally or by means of preparing reports. You are keen to own the topics on the CFO’s agenda, to contribute to a better working world. As part of the application procedure there is an Assessment as well as a Pre-Employment Screening (PES). A PES includes a check of your ID and credentials, a statement of good behavior and a statement from EY regarding liability at the time of commencement of employment. Next to a CV and motivation letter we kindly request you to provide your grade list as part of your application. 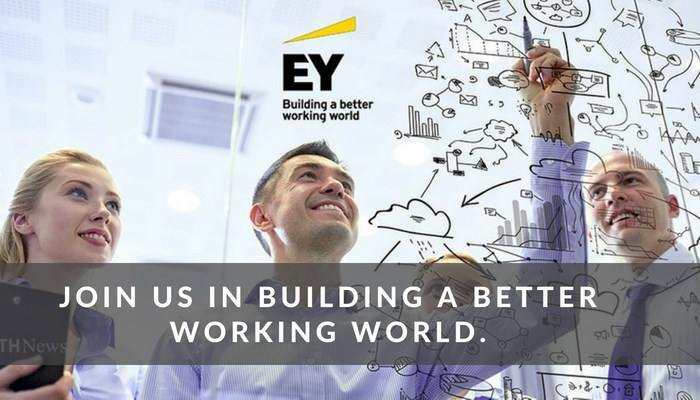 Please send your application for Senior Advisor – Financial Advisory Services: Regulatory Requirements Banking, Capital Markets & Payments (EMEIA FSO) at EY in Amsterdam including your CV via our website. 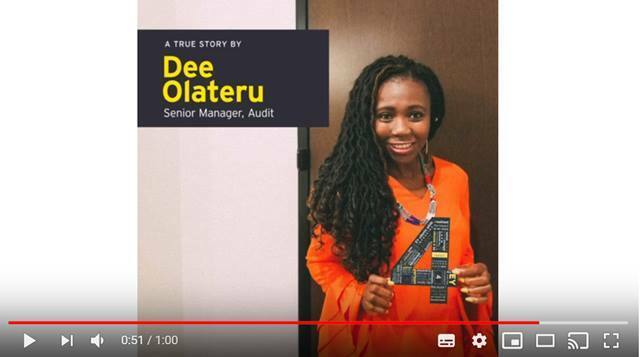 Discover why a career in Audit at EY is about much more than numbers, watch Dee's journey!